Go to one of our many locations in 11 states and growing. Sign up for free. Next, create a free Vaultoro.com account online. Vaultoro will provide you with a Bitcoin deposit address. Link your vaultoro Bitcoin wallet at our ATM. Your dollars will be converted into real physical gold, stored safely in a live audited swiss vault. Use our Self-Service kiosk to get started. It's fast and free. 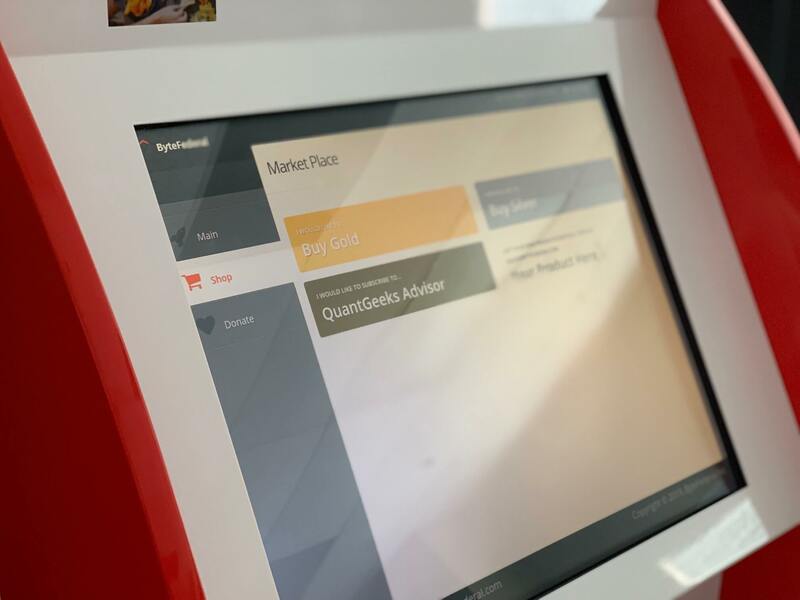 Our growing ByteFederal Self-Service kiosk network makes it very easy for anybody to get started with Bitcoin and crypto services in a secure and user-friendly way. 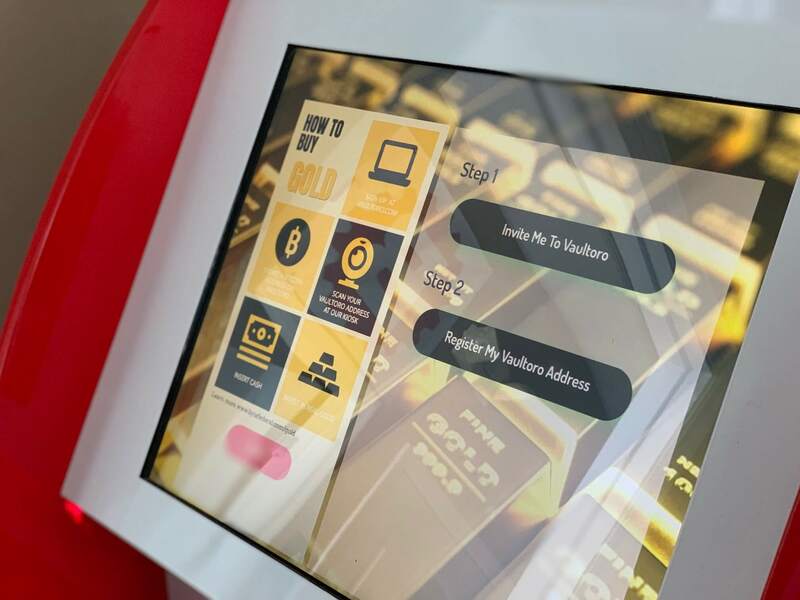 To start buying Gold, come to one of our locations, register at our ATM within a few minutes, and get ready to not just buy and sell cryptocurrency but – in an industry first – real physical bullion of precious metal vaulted in Switzerland through our partner Vaultoro.com. 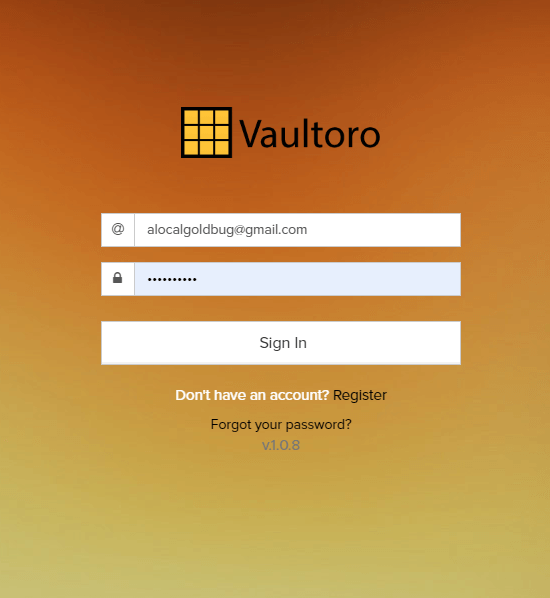 Get your free vaultoro.com Gold exchange account. Setting up a Vaultoro Gold Exchange account is easy. You can later withdraw and take physical possession of your bullion or sell it back for Bitcoin instantly. Link ByteFederal to your Vaultoro. Enjoy buying and selling physical Gold for cash! It’s easy to link your ByteFederal Self-Service kiosk to your vaultoro account. Take a picture of your Vaultoro Bitcoin wallet address. At our ByteFederal ATM, scan your Vaultoro wallet. Voila! Enjoy buying and selling Gold for cash anywhere you see a ByteFederal ATM.